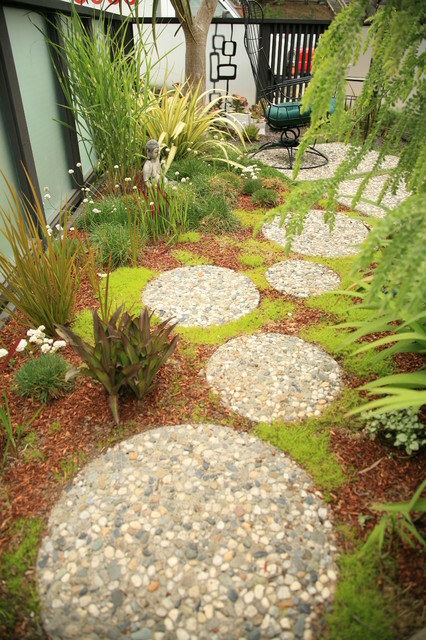 Stepping stones - Where can I find the round aggregate stepping stones? Not sure where you live but we formed & poured these ourselves. I have not seen these for sale anywhere these days. They were available back in the 1980 but have fallen out of fashion. Nice planting around stepping stones. A Work in Progress….with a California Desert Influence.